These rich, white people never have to clean anything! Hey men, make these women do your housework for you! Basically, what this implies is that “life” involves activities other than work. It claims menial tasks in the home actually detract from living. Furthermore, it conveys to those children sitting with their parents that the spaces they inhabit are the responsibility of other people. They need not worry themselves with trivial activities such as self-care. Other people manage those things. This creates a hierarchical mindset within children. They no longer concern themselves with what is not “life” such as cleaning and maintaining spaces they use. 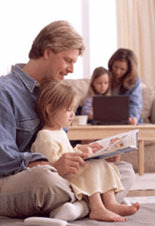 Children subsequently treat people who do the cleaning as lifeless. How easy it is to oppress people who do not share life with you! 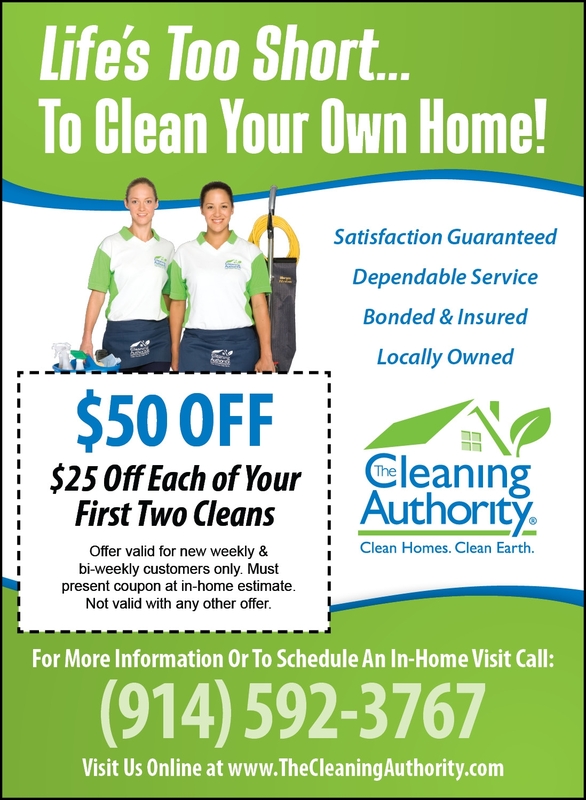 What is worse is that “The Cleaning Authority” proclaims they use “green” cleaning. Going green means having someone drive to your house to clean it for you. How can we expect our children to be “green” when we do not even teach them to take care of their own space? When they learn to disregard the spaces they inhabit as someone else’s responsibility, they will inevitably view the very ground they stand upon as unimportant. Someone else will take care of their mess! How can we expect people to care for the earth when they do not even tend to their own immediate environment? We cannot. “Green” cleaning simply reaffirms rich oppressors of their moral superiority while paying no attention to the entitled attitudes that have made the “Green” movement necessary in the first place. This is the most ridiculous, offensive, and dangerous advertisement I have ever received in my own home. I hope we can find creative ways to resist these outrageous attempts by the bourgeoisie to gentrify and oppress the service workers who cannot share in the comforts enjoyed by their patrons. End all maid service! This entry was posted in anti-capitalism, Critique, Environmentalism, Gentrification, Morality, Parenting, Resistance and tagged Business and Economy, Business Services, Cleaning, Gentrification, Home, Housekeeping, Parenting, Racism. Bookmark the permalink. but who is going to dust buster? Wait, is this an “Arrested Development” quote? Yes, I knew it. It is! Great move. It is VERY clear that you have way too much time on your hands as well as suffer from some sort of mental problem. Get help…and get on with your life…if you don’t want a product….throw away the brochure….don’t go on a psychotic rant. Wow. You’re a jerk. I apologize to you for trying to make a point about how I think we do not take responsibility for our own lives. Which would seem to be the opposite of a mental problem. Please, do not comment on my blog ever again.